Each of the 7 Habits incorporates 1 or more of the 21 Principles. These 12 Principles are split into over 150 practical activities, and these are broken down even further into steps to follow. The purpose of the video episodes is to help you learn more detail about each Principle in a relaxed, easy to watch format. We teach some of the techniques, show you relevant equipment, and talk to experts. Take Notice - this video focuses on helping you apply the principles of mindfulness and slowing down. It includes a discussion with Karen (our meditation guide) and an introductory meditation session that we filmed outdoors in the beautiful English bluebell woods to help you get started. Feel Good - this video focuses on helping you develop healthy psychological attitudes and behaviours by applying the principles of learning to be happy, developing a sense of purpose, becoming an attentive optimist, developing resilience, being youthful yet with maturity, and managing your di-stress levels. Nourish Yourself - this video focuses on helping you apply the principles of eating a good diet for at least 70% of the time, sleeping as much as you need, and spending as much time as you can in nature. Connect - this video focuses on helping you apply the principles of actively seeking connections between things and people in your life, working for a win:win situation at all times, and nurturing love and social relationships. Keep Learning - this video focuses on helping you apply the principles of exercising your cognitive skills, seeking challenge, embracing versatility and being creative. 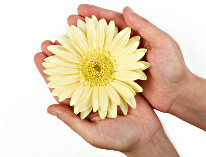 Give - this video focuses on helping you apply the principles of being gentle and appreciation.